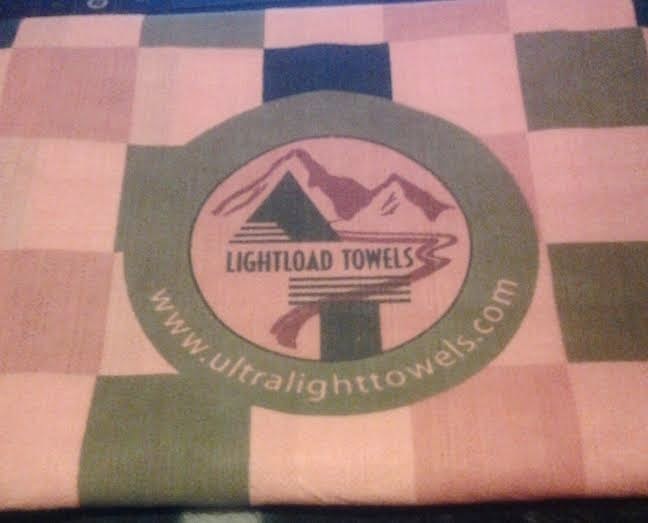 The world renowned Lightload Towels are the only towels that are survival tools. They are great for everything! !...lol You can use them as a towel, wash cloth fire starter, first aid supplement, diaper, insulator, static electricity insulator, mask and more. You name it you can it for them! They're great for packing in tight spaces like suitcases and small pouches because they fold up so small. They weigh only 4.5oz so that is very helpful where weight is a concern like in travel or backpacking. The material is 100 percent viscose which is made from cellulose.. It's the most super absorbent material you can buy. They are also the most energy efficient towels in that they need little energy to carry, wash and dispose. Add water to the towel or start wiping water off of you to soften and open easier. They're very soft against the skin so great for the gym and spas. Machine wash the towels very delicately or handwash. Keep dry when possible. The towels are reusable and will last until they don't. This beach towel is a great gift, and easily mailed. Colors of the towels are assorted. There are so many uses for the Lightload Easy Carry Beach towel! Golfers can freeze to make a cold towel. Boy Scouts and kid campers love this feature. Lightload Towels have been written about in many magazines including Climbing Magazine,Bike Magazine and Sailing Magazine. 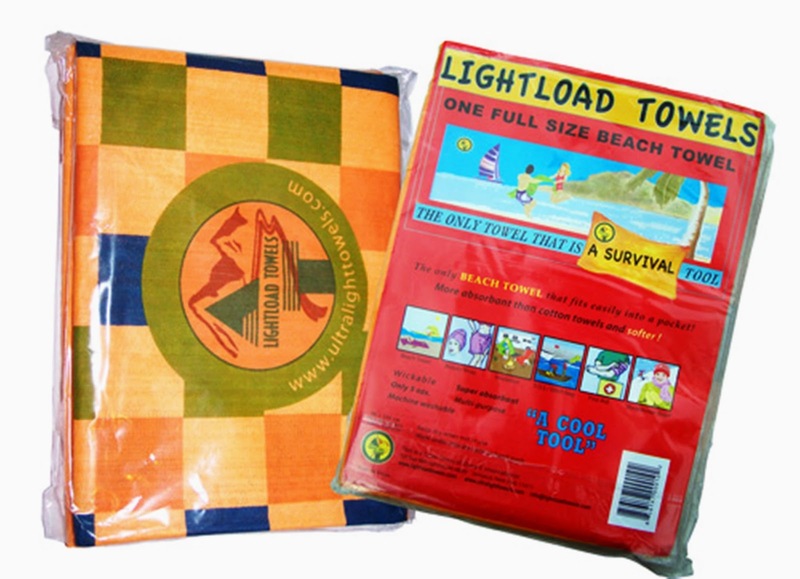 We love out Lightload towel! We have used it to dry the dishes and wash the car! It really is it great for anything and everything you can think of. It washes up great and you can reuse it again! Giveaway~ Enter below to win your very own LightLoad Easy Carry Beach Towel! ends 2/13. BookMark this page and come back daily to earn more entries! disclosure~ I received a free lightload easy carry beach towel in order to write my review and giveaway. I would use them at the pool, but also to dry up and clean up after all the water balloon wars and other water games at the house. We'd use it for going to the pool. I would use it at the beach if I won. I would give this to my niece. She would love taking this to the pool this Summer. Drying the car and my cats. we have a pool so we would use it there all the time! We're thinking of signing our boys up for swim lessons this summer - lightweight towels would be great for taking to the pool. This would stay in my car for those impromptu beach trips with the kids! I would use it for traveling - it's perfect! Thanks! I would use it at the pool. I would use these while camping or on road trips. I would take these to the beach, our pool, camping and on vacation to our river cabin in the mountains this summer. At the pool this summer! I would put it in my emergency kit. This is perfect for the beach. We always end up carrying so much stuff this will lighten the load. We would use these for swimming. That would be great for out of the way water spots. I would use this on our camping trips. I would use them for the pool and the beach! Wow! So many uses but I would give it to my husband for golf! kristiedonelson(at)gmail(dot)com Thank you. This would be used for our beach towel because Lake Michigan is 15minutes walk away. I would use them at the beach, camping or at the pool. I swim 3 times a week and love doing it. This will be great to have. I'd use it for the beach, swimming, and scuba diving! I would use it to put in my emergency preparedness kit. This would be excellent for a day at the beach! Id use it at the pool with my grandkids. I would love to win and use it for travelling! Trips to the pool and the beach this summer! I'd use it to take to the pool. Good for my visits to the pool.